The author, John Litwinovich, begins this charming guidebook with a wonderfully, and horribly, accurate description of what the typical tourist experiences of Assisi. Today, the city is terribly oversold as a tourist destination. The shops sell trashy souvenirs. The churches are crowded and the visitors are trampled and rushed. The modern day experience is nothing like the pilgrimage of old, when the pilgrims traveled on foot or by donkey or carriage, and they stayed weeks in and around Assisi. 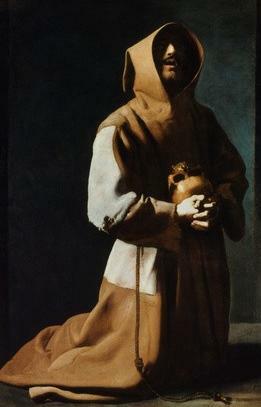 Each day they would attend mass, then walk in Saint Francis's footsteps, drinking in the atmosphere of the places he prayed, walked, lived, and preached. 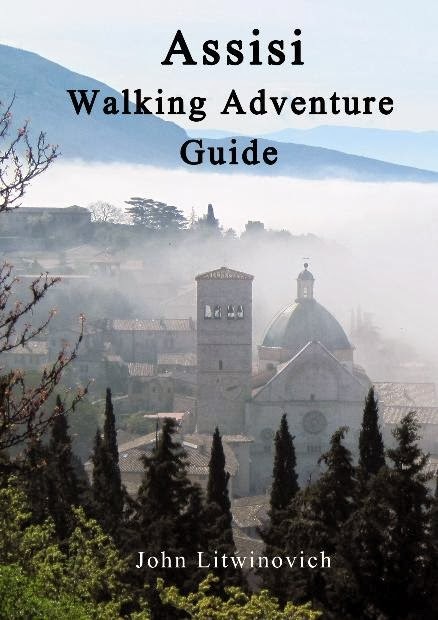 The Assisi Walking Adventure Guide attempts to bridge the gap between the past and the present for visitors to St. Francis of Assisi's haunts. The roughly thirty sections of the book, each with photographs, give the modern visitor lots of choices for the short time they will probably spend in Assisi. 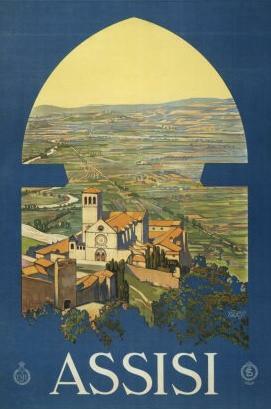 You can remain in Assisi self, or venture out to nearby villages with the guide's help. 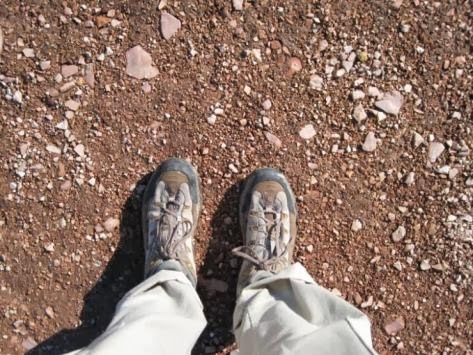 The author has a gentle sense of humor and speaks directly to his fellow walker in his precise descriptions of where to go and what to see, what maps or books are helpful, what tickets are required, and even where you can get a bite to eat at a reasonable price. The text is scrupulously edited, as well, which is refreshing for an indie-published book. Each walk is described in a manner assuming the reader is of an adventuresome nature, interested not simply in getting from Point A to Point B, but rather in exploring and discovering along the way. Thus, distances are given in approximate round trip or point-to-point miles, with times assuming a moderate pace with occasional delays, unanticipated side trips, and temporarily getting lost in search of special places. The joy of discovery requires that the reader experience sights the author has not seen and people the author has not met. A wise walker will set out early, keeping an open mind on how far to travel, allowing each day's adventure to evolve. ...each walk is ranked according to beauty. As Assisi possesses an inordinate amount of this quality, the rating of 1 to 5 begins with a low of 1, subtly beautiful, up to 5, extraordinarily beautiful. The walks are also ranked for difficulty and offer a good estimate of how long the walk will take and how many miles are covered. 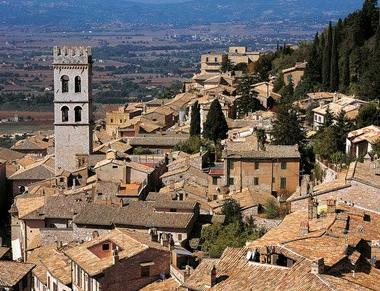 Each year millions visit Assisi, the home of Saints Francis and Clare, but few experience many of the hidden treasures of the city and the surrounding Umbrian countryside. If you love to walk, explore, learn, discover and appreciate nature's wonders, read this guide and begin your adventures in one of the most inspiring places on earth! There are a few places on earth where artistic, historic, natural and spiritual wonders merge as they do in Assisi. With this handy guide, visitors to Umbria can explore Assisi, its surrounding towns, and Mount Subasio Park. 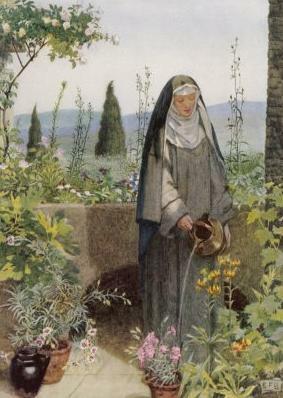 This book is definitely for walkers, for those seeking to leave the main roads in search of treasures, to wander the paths of Saint Francis, to go where his followers gathered and found shelter, and to experience the natural beauty of Umbria. The walks range from short strolls to day-long hikes, sometimes in towns and cities but mostly in idyllic rural settings. Examples of what readers may find include structures from Roman times, natural wonders atop a mountain, a ghost town with fading frescos, stones remaining from a saint's childhood castle, opportunities to visit cloistered monasteries, churches Saint Francis labored to rebuild, and much more. This guide takes its readers from a tunnel beneath Assisi's Piazza del Comune, with two thousand year old walls, to the top of Mount Subasio, with its extraordinary views of Umbria's mountains and valleys. The guidebook is generously offered for free via Smashwords, in various formats, several of which are perfect for pads and phones, so you can take the guide with you when you travel. This is a book designed to have to hand while walking the streets and trails of Assisi. Smashwords is an on-line e-book shop and distribution service that offers all their books in various e-book formats including epub, Kindle (mobi), and pdf. Where Amazon.com adds a surcharge onto Kindle sales to countries without official Kindle Stores, Smashwords does not. Kindles sold via Smashwords cost the same for every customer no matter where they live in the world. Please visit the author's blog where he describes his other books.